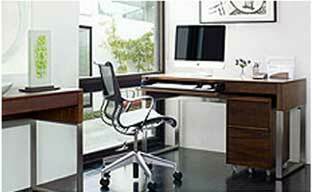 Dear Furniture Shopping visitors, please find variety of furniture buying guides for your home and office. Every week we adding new articles and guides written by our designers in order to help you design and choose perfect products, as well as coordinate an entire room of beautiful furniture and accessories..
Buying furniture is always exciting as it brings changes at home but it can also prove to be expensive if extemporized and unplanned steps are taken. A key to buy great furniture is to not being impulsive, do the homework well and take informed decisions. It is a lot easier to buy furniture if you can pay attention to little details like what kind furniture suits your place, what are your furniture needs, etc. Hence it is important to follow the furniture buying guide for your convenience. Buying furniture, to most people, is a huge investment and it may be highly beneficial to know what’s good for you and what isn’t beforehand. It may also be beneficial to answer to questions that pertain to starting a family, how many kids are in there, moving cities, parents moving in, etc. Depending on your budget, lifestyle and personal choice; you can pick furniture that is stylish, contemporary and durable as per your taste. 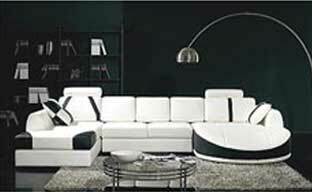 Following a furniture buying guide will help you in this aspect. 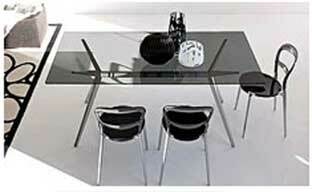 accordingly for a study table, lamp stand, comfortable chair etc. The same goes for your child’s bedroom, dining room, living area etc. Determining the rooms in need for the furniture prior to starting your search is essential according to the furniture buying guide. You should also decide upon which items of furniture you need most, and pen it down. Therefore, you can buy those items first. You don't have to furnish the entire house at once, do you? This can be considered as prioritizing your purchases. Another consideration in this aspect is to check for your family requirements. You need to have a clear cut image of whether you have elderly people in your family using the furniture, pets at home, or children. This is very important in getting the perfect designs and also the fabrics for your furniture, which is convenient for all the members of the family. No matter how much you want to spend on your furniture, you can always find decent values that go well with your style in your expected price range. Nobody wants to buy things at a higher rate than those available in the market, isn’t it? Besides, many online furniture stores offer various benefits like interior designer’s consultations, room planning guides, furniture buying guide, free delivery within a circumference of distance, reduced rates for an entire room package etc. Make use of these free services that are available in the market. Furniture buying is an important decision you take for yourself and your family. Budgeting, planning and writing down personal preferences can get you great mileage. So make use of the available furniture buying guide. Eventually, trust your decisions and enjoy your new furniture with a completely refreshed and new outlook to your house! So Let's recap!